Is the beer you drink craft? Or is it merely craftily marketed? On The Coast beer columnist Rebecca Whyman says it can be hard to tell sometimes. 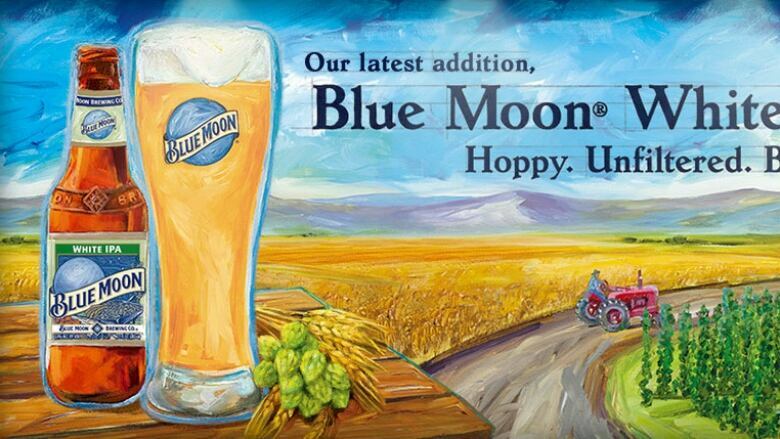 A California beer drinker sued MillerCoors LLC in 2015, claiming their Blue Moon beer is not actually craft beer and marketing it as such was deceptive. Is the beer you drink craft? Or is it merely craftily marketed? On The Coast beer columnist Rebecca Whyman says it can be hard to tell sometimes. Between acquisitions of craft breweries, shadow brands and marketing elements that make a beer look craft, there are several ways big breweries are creeping into the world of craft brewing. "I think that beer makers should be honest about the beers they're making. Unless you pay a lot of attention to the fine print and do your research, it is very easy to be taken in by shadow brands and crafty beers," Whyman told On The Coast guest host Gloria Macarenko. "Does everyone know that Granville Island Brewing is owned by MolsonCoors and Stanley Park Brewing is owned by AB InBev? Those facts certainly aren't proudly announced on their labels." Are new B.C. craft breweries struggling to distinguish themselves? Shadow brands and "crafty beers" are those that are owned by a larger, non-local brewery but appear to be local craft beers at first blush. Sometimes these are new brands created by breweries, and sometimes these are craft breweries bought out and then brewed at much larger facilities rather than locally at the former craft brewery site. Whyman says if where your beer is coming from and who is producing it is important to you, it's important to do your own research, which can be complicated. But if you're looking for local, guaranteed craft options, here are Whyman's picks for this week. "So light and refreshing for summer! This wheat beer is a mere 3.2 per cent alcohol for your ease of enjoyment! Brewed with wild lactobacillus bacteria and 200 pounds of local, whole raspberries, it's pink and it's tart! Available in six packs of cans at the liquor store and on tap at the North Vancouver tasting room." "Banana and cloves: it must be a hefeweizen! The yeast culture comes all the way from Germany, bringing some old world street cred to this new world summery beer. Fruity, spicy and cloudy. 4.5 per cent, Available on tap at the tasting room." "Because summer is the time for hefeweizen! German yeast meets American hops meets pineapple juice. It's sessionable, fruity and refreshing [at] 4.8 per cent, available at the liquor store and on tap at the tasting room."